Pope Francis has criticised "the wealthy few" for enjoying what, "in justice, belongs to all" and said Christians could not remain indifferent to the growing cries of the exploited and the indigent, including migrants. 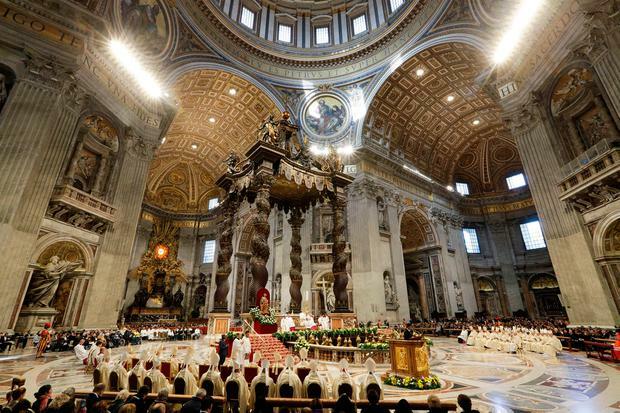 The Pope invited about 6,000 poor people as well as some of the volunteers who help them to the splendour of St Peter's Basilica where he celebrated Mass on a day the Catholic Church dedicates to the needy. Later, he sat down with 1,500 of the indigent for a lunch of lasagna, chicken, mashed potatoes and tiramisu in a Vatican auditorium.